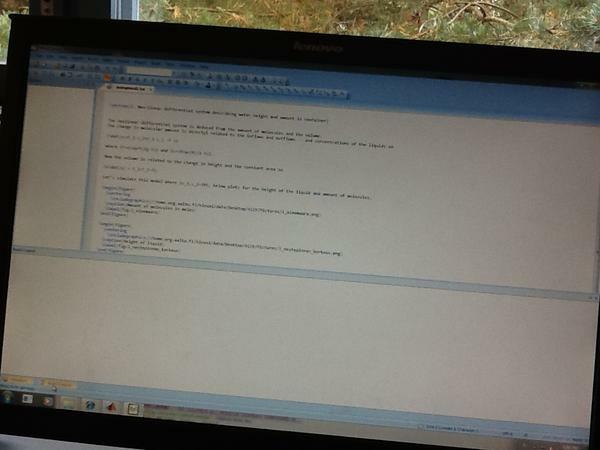 I am forced to use Windows -machine during certain classes, software provided by this party here. I have earlier compiled things through SSH but now trying to use Tex -softwares built for Windows working such as TeXnicCenter and some compiler but it apparently misses the compiler. I am now trying to install the MikTex -LaTex-compiler for Windows but "initexmf.exe: Windows API error 5: Access is denied." 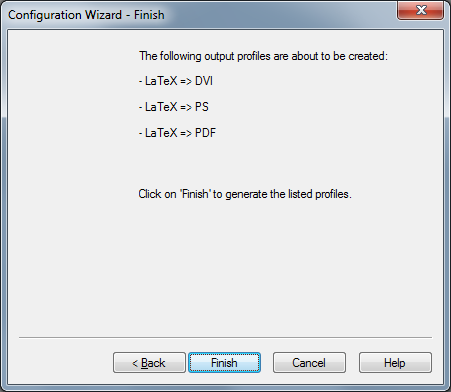 so my system -admistrators apparently not allowing me to compile LaTex in Windows. 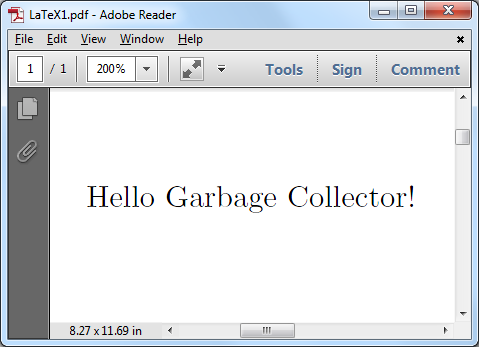 So how can I get the PDF -document out of this GUI -tool? When I build, the "build output" is empty. Why? Perhaps useful for the MikTex -error: Windows API error 5: "Access is denied" when trying to compile TikZ picture and here. Note that for each installation, just accept the default settings. 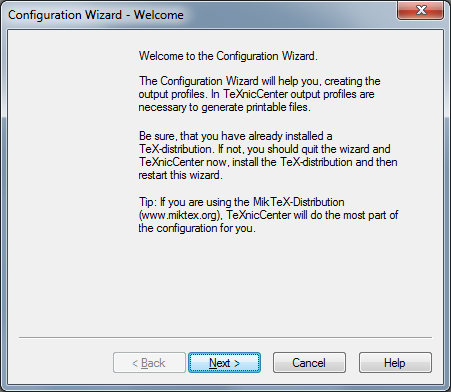 Install either TeX Live 2012 or MikTeX (the latest version). 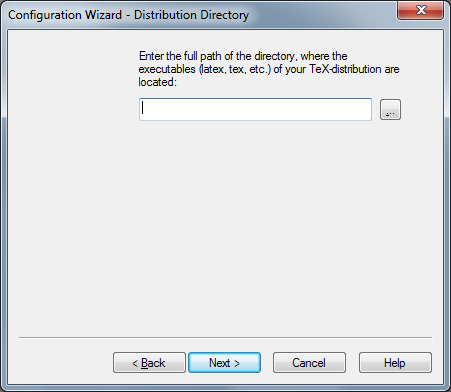 Install TeXnicCenter (RC1 is the stable one). Run the TeXnicCenter, you will be prompted to specify the path to TeX binary as follows. Pressing the Next button, you will be prompted to find the TeX binary path. Press the Browse button to locate the path. If you installed MikTeX then the path will be different, please locate it by yourself. Pressing the Next button will bring up the following window, just accept the default. Pressing the Next button again will bring up the following window, just click the Finish button. 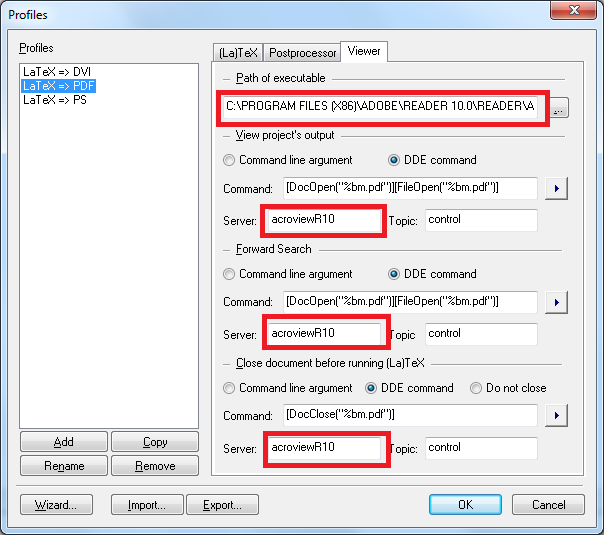 Create a new blank document by pressing the white icon right below the File menu (I enclosed it with a red rectangle). 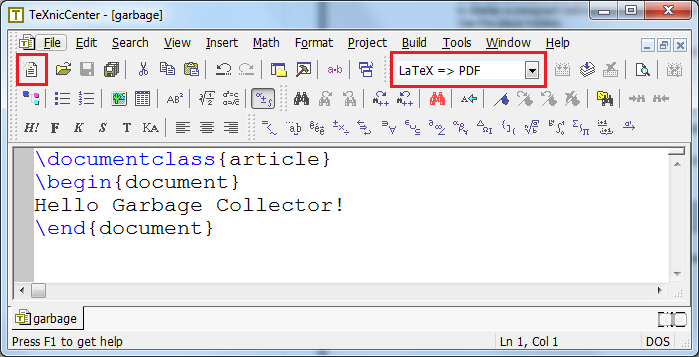 Type the following dummy text, save it, make sure you choose LaTeX => PDF item (I enclosed it with a red rectangle), then press CTRL+SHIFT+F5. Not the answer you're looking for? Browse other questions tagged installing compiling miktex windows texniccenter or ask your own question. 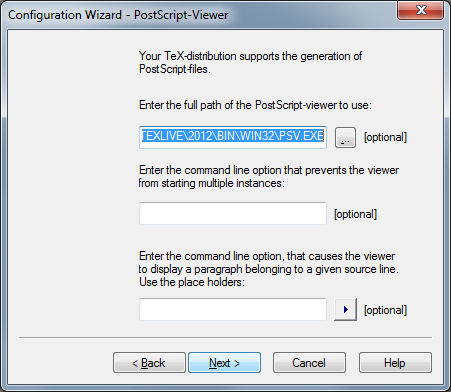 Has anyone managed to use \glossaries with TeXstudio on Windows?